After starting work at SARL, this was one of the first projects I worked on that not only worked, but has consistently continued to work as the years have gone by. 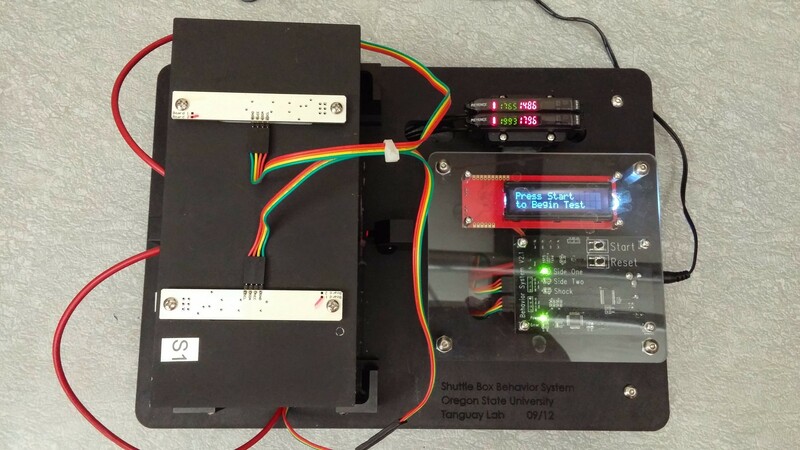 The Shuttlebox behavior system is a pavlovian conditioning tool to be used on Zebrafish fry. Essentially, the goal is to train these fry to seek shelter in light instead of darkness (the reverse of their natural programming). 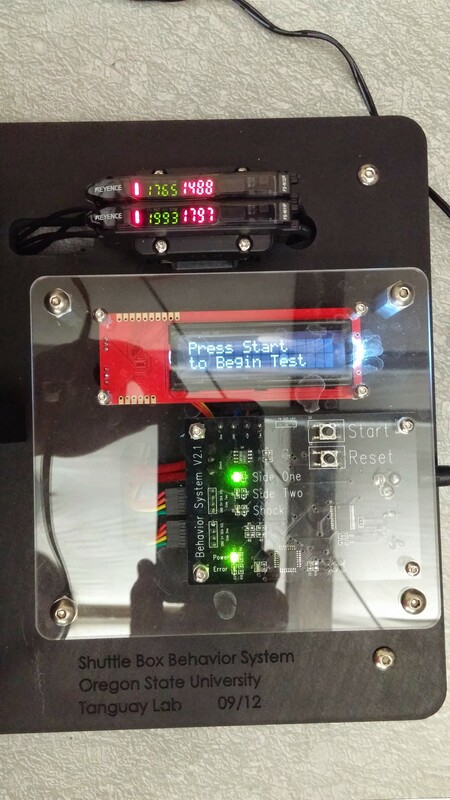 This is achieved by a custom tool developed by the lab consisting of a small tank separated into two sides with optical sensors in the middle and custom electronics on the outside. 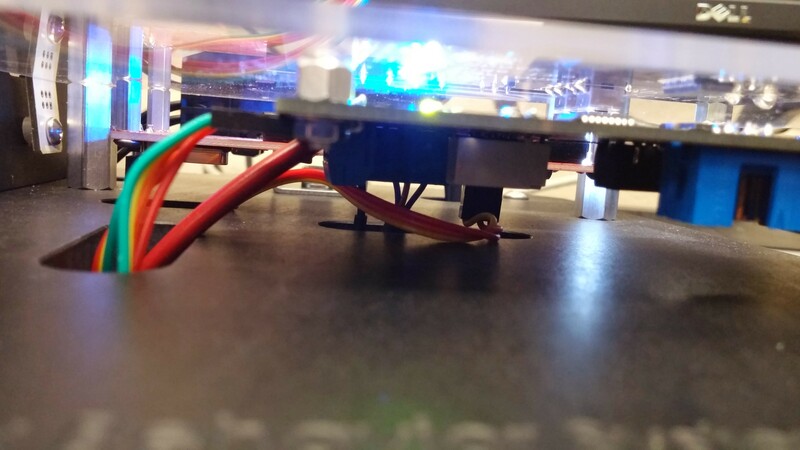 When a fish passes by the optical sensors it tells the outboard microcontroller whether the fish is on the desired side or not. 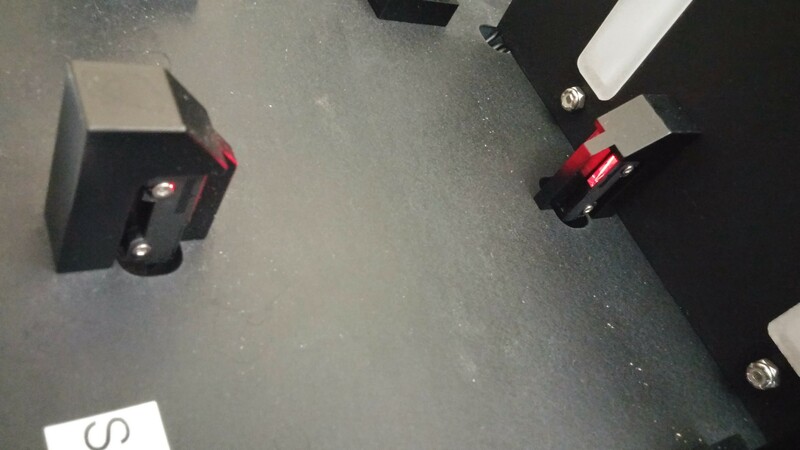 If it’s on the dark side instead of the light, a light electric shock is applied to the tank until the fry swims back to the correct side. In practice the fry learn this new behavior very quickly under normal conditions. As SARL performs toxicology research, tests like this can provide quantitative data as to whether or not chemicals (oftentimes ones we come into contact with every day even) could potentially have negative biological or neurological effects on humans or other animals. 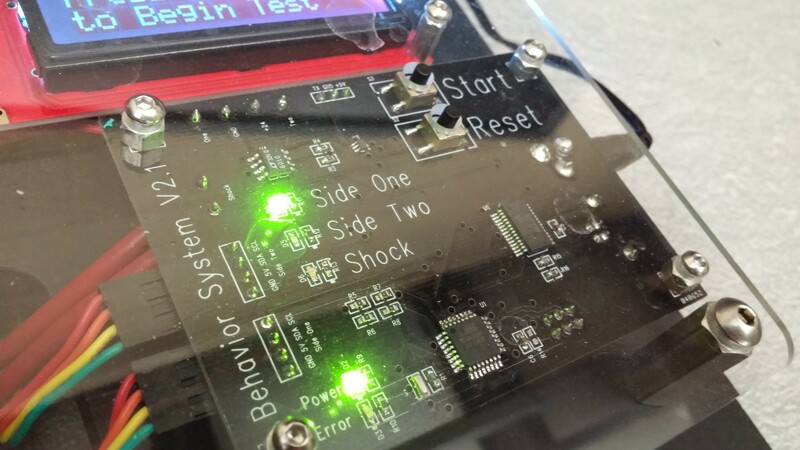 My task for this project was to figure out why the original custom microcontroller shields (arudino uno sheilds) that they had been using didn’t seem to be affecting the fish. 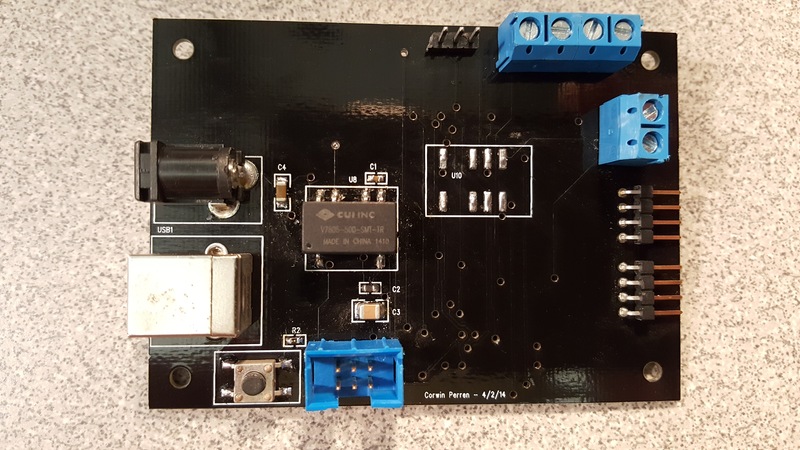 It took me all of five minutes to figure out why, which turned out to be that they were attempting to shock the fish with the 5V available to run the micro, which turned out to be 7 volts less than what was needed to have the fry even notice the shock. 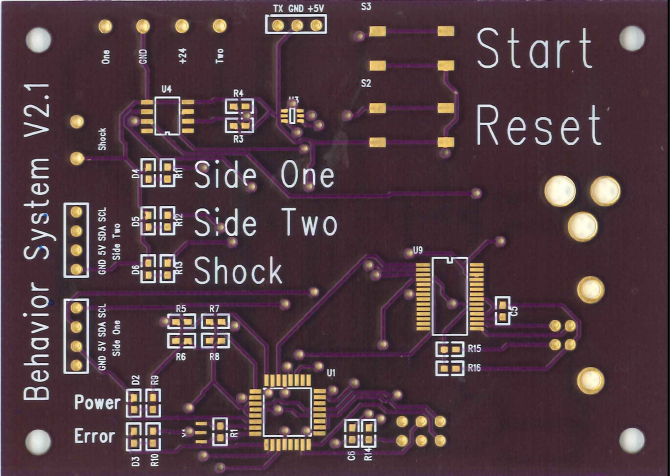 I had recently taught myself PCB design and re-made the board design to include a positive feeback opamp that scaled a 0-5V output from the microcontroller to a 0-24V output. 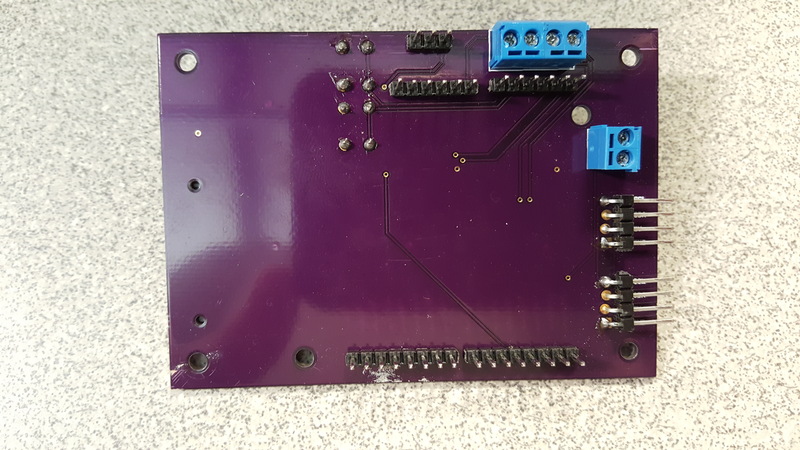 Since I was already making a custom board, I also integrated with atmel microcontroller and FTDI USB->Serial converter onto the board as well. 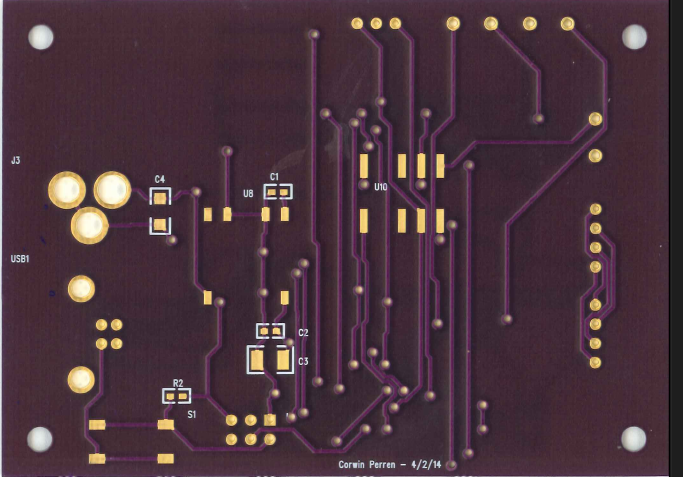 I originally used Mentor Graphics PADS to do the PCB design, but it became one of my least favorite pieces of software I’ve ever used and I dropped it for Altium Designer in future years. 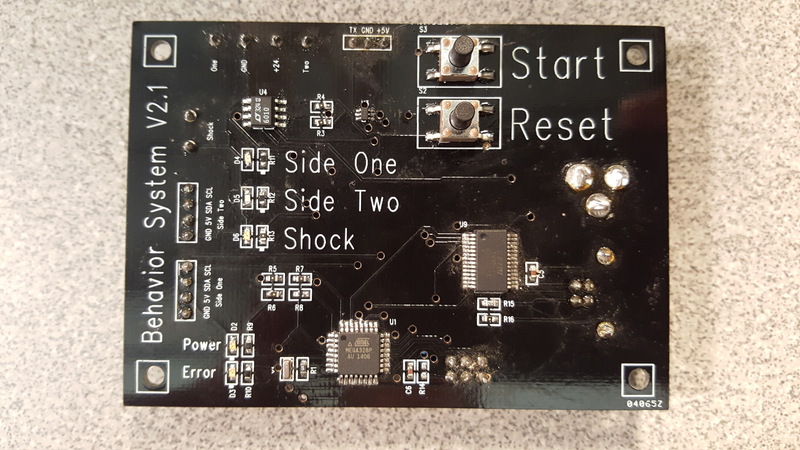 The final board came out working well overall! 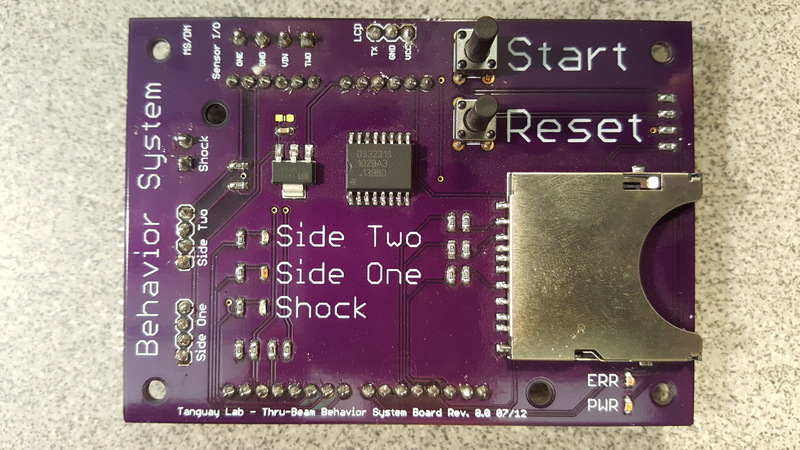 As it was one of my first working boards, there were definitely some best practices that I didn’t follow that I would were I to remake it today, but as of writing this all 14 boards that were ultimately made are still in use a few years later and have provided excellent data for the lab.